We’d all like to believe that everyone else on the highway is going to drive safely and respectfully. Unfortunately, this assumption is little more than a pipe dream in most cases—hence the importance of defensive driving. As a driver, whether in the city, on a county backroad, or on a busy highway, you always need to give yourself an escape route. If another driver doesn’t see you or stops suddenly, you need to have a plan in mind to avert an accident. Defensive driving is doubly important when dealing with semi trucks. 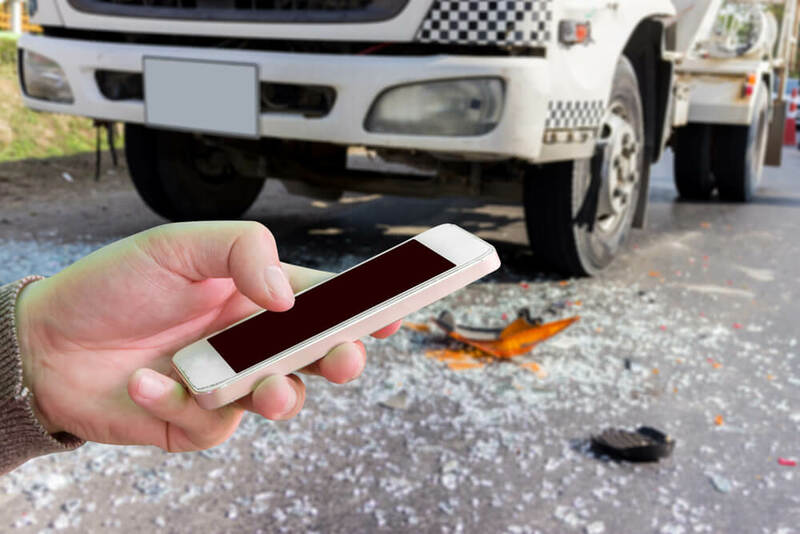 A truck accident will often be exponentially more devastating than an accident involving two sedans, due to the increased size, weight, and cargo of a large truck. At Corradino & Papa, LLC, we can serve as your truck accident lawyer if you are involved in a semi-truck accident. However, we’d rather you avoid this kind of collision and the injury, damage, or other devastation it can cause. Here are five tips you can use to drive more safely near trucks in 2019. One of the best ways to avoid a truck accident in NJ is to keep your car out of a truck driver’s blind spots. You know where the blind spots are for an average motorist, but a truck driver has more of them due to the size of their vehicle. Indeed, a semi-truck has blind spots both in front of and behind the vehicle, as well as on either side. Giving the truck a wide berth on all sides is your best bet for making sure your vehicle is visible. Following a semi truck too closely isn’t just dangerous because it might put you in the driver’s blind spot. If the truck driver has to stop short or experiences a tire blowout, you’ll rear-end them—a collision that can be lethal. Remember: in a battle between your small vehicle and a commercial truck, the truck wins every time. To stay safe, give at least double the following distance between your car and a semi truck than you would give for another vehicle. This one is common courtesy when approaching any other driver, whether from behind or head on. However, it’s especially important when approaching a truck. Trucks are equipped with larger side mirrors than other vehicles. These mirrors can magnify your brights and temporarily blind the truck driver—often with devastating results. You can and should pass slow-moving trucks. However, if you are going to pass a large semi, be strategic and smart about it. Provide plenty of space to pass, pass at a steady and quick speed to minimize your time in the truck driver’s blind spots, and merge back in front of the truck only after you have put at least 50 feet between your vehicle and the semi. If it is rainy, snowy, or foggy, or if the visibility and driving conditions are otherwise questionable, be extra careful with blind spots and double your following distance and merging distance when dealing with trucks. You can’t be too cautious in poor weather. If you have been involved in a truck accident in Maplewood, Harrison, West Orange, or other nearby communities, call Corradino & Papa, LLC. We are an experienced truck accident law firm and can help you get the settlement you deserve.